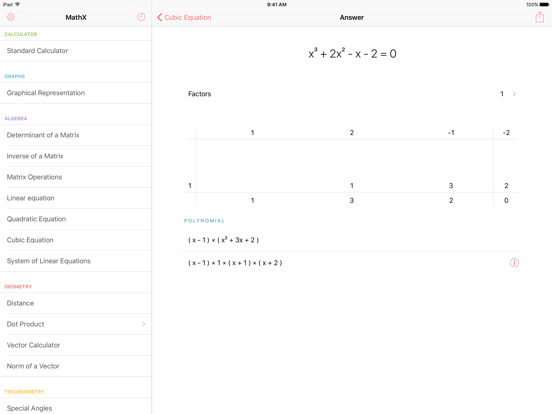 MathX brings the power of a graphic and scientific calculator on your iPhone and iPad. It can solve more than 18 operations and gives you step-by-step explanations. 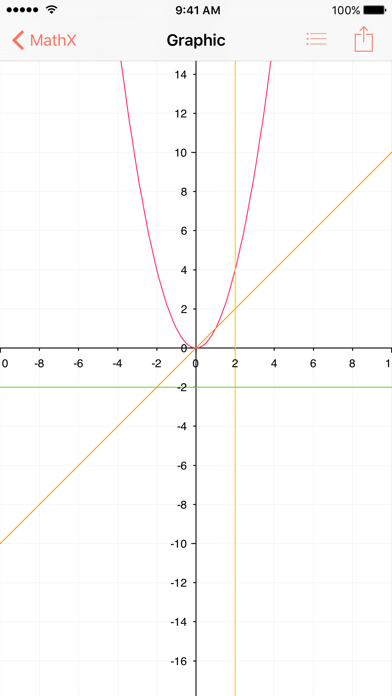 It allows you to graph and compare up to seven functions simultaneously. 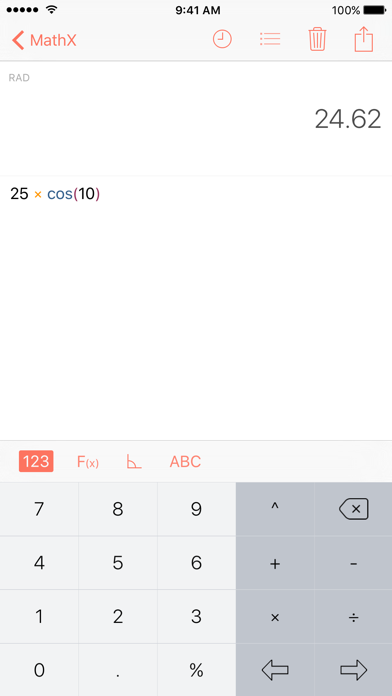 There’s also a standard calculator that gives you instant answers as you type. 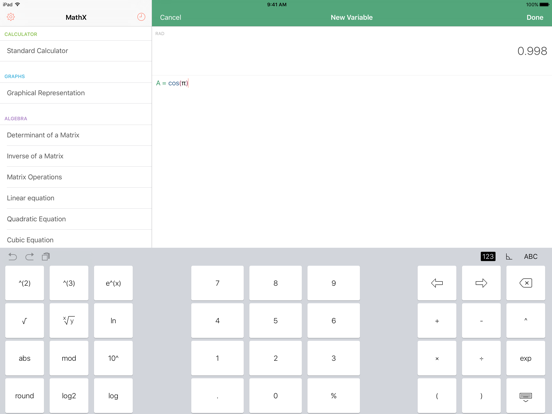 It helps you perform your day-to-day calculation more easily than a traditional calculator. We think MathX is going to help you everyday, from quick calculation to complex problem. 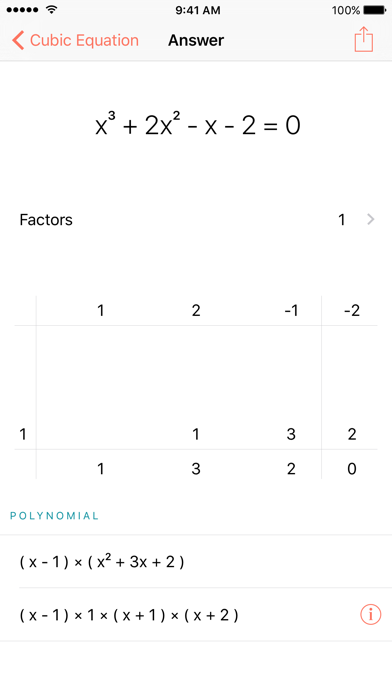 • Compare up to seven different functions. 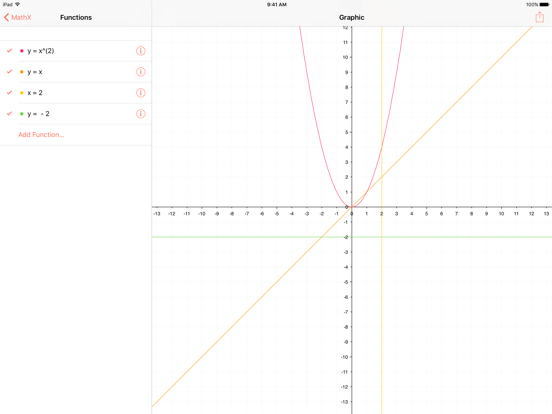 • Show graphs on an external display using AirPlay. • Matrix Operations, Determinant of a Matrix, Inverse of a Matrix, Linear Equation, Quadratic Equation, Cubic Equation and System Of Linear Equations. • Distance, Dot Product, Vector Calculator and Norm of a Vector. • Special Angles, Converter, Pythagoras’ Theorem, Generalized Pythagorean Theorem and Trigonometric Formulas. 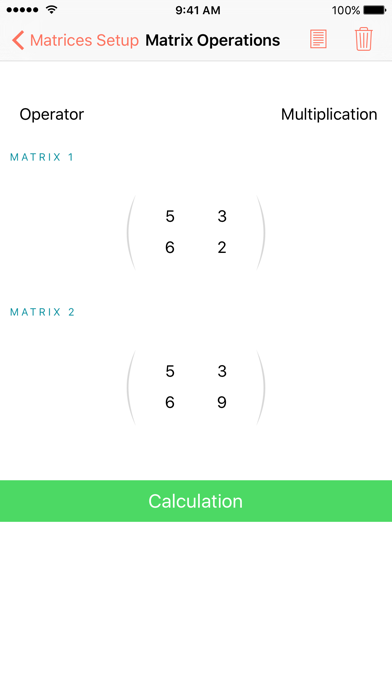 • Keep track of all the calculations that MathX performs. 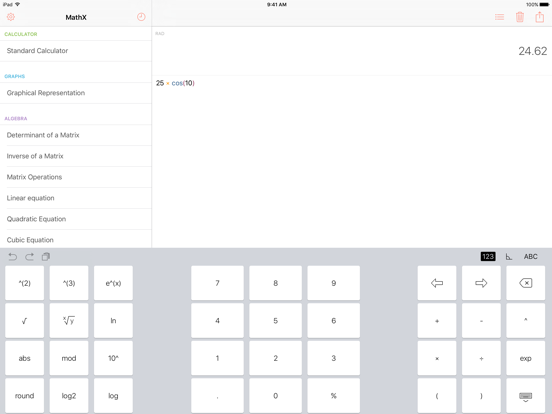 • Calculator Widget provides you a scientific calculator right in the Today View. 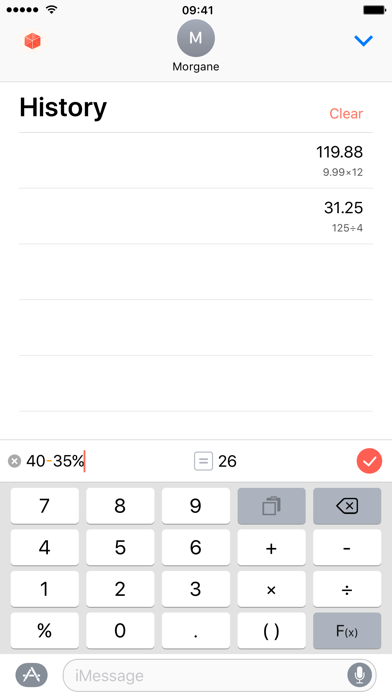 • Messages Extension brings our calculator and gives you access to your history right inside the Messages app. • Sync variables, history and your library across all your iOS devices with iCloud. • Save to Evernote, Dropbox, iCloud Drive and third-party document apps. • Export as PDF, TXT and image. 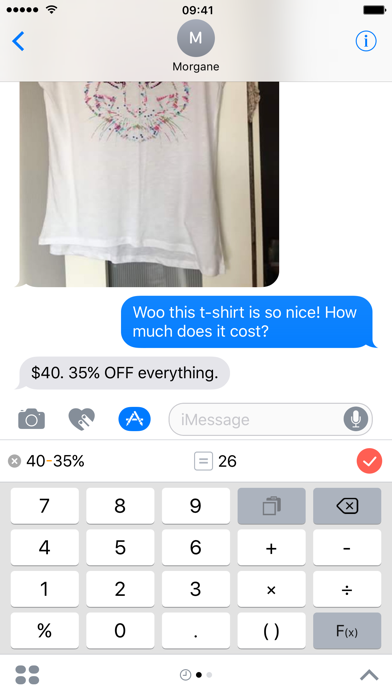 • Print as plain text. 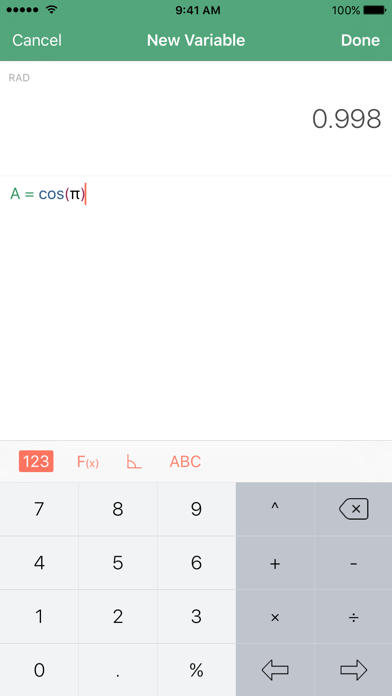 • Create MaTeX documents to include your own theory into MathX. MathX allows you to import MaTeX document from iCloud Drive, Dropbox and other services.